With the Web people can now view virtual three-dimensional worlds and explore virtual space. Increasingly, novice users are interested in creating 3D Web sites. 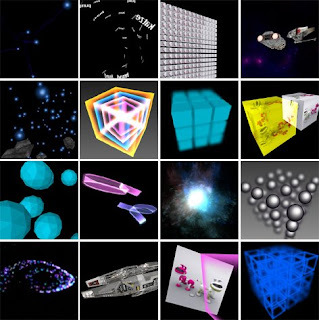 Virtual Reality Modeling Language gained ISO status in 1997, although it is being supplanted by the compatible Java3D API and alternative 3D Web technologies compete. Pen-based user interfaces, on the other hand, are for many an easy and intuitive method for graphics input. Not only are people familiar with the look and feel of paper and pencil, novice users also find it less intimidating to draw what they want, where they want it instead of using a complicated tool palette and pull-down menus. Architects and designers use sketches as a primary tool to generate design ideas and to explore alternatives, and numerous computer-based interfaces have played on the concept of "sketch". However, we restrict the notion of sketch to freehand drawing, which we believe helps people to think, to envision, and to recognize properties of the objects with which they are working. SKETCH employs a pen interface to create three-dimensional models, but it uses a simple language of gestures to control a three-dimensional modeler; it does not attempt to interpret freehand drawings. In contrast, our support of 3D world creation using freehand drawing depend on users’ traditional understanding of a floor plan representation. Igarashi et al. used a pen interface to drive browsing in a 3D world, by projecting the user’s marks on the ground plane in the virtual world. Our Sketch-3D project extends this approach, investigating an interface that allows direct interpretation of the drawing marks (what you draw is what you get) and serves as a rapid prototyping tool for creating 3D virtual scenes.